British Prime Minister Theresa May will ask the European Union on Wednesday for a delay to the country’s divorce from the bloc, due to take place in nine days, but the EU warned it could keep Britain waiting for an answer. 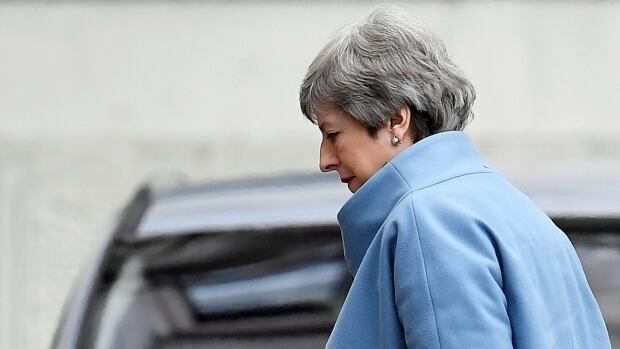 If Parliament backed the deal, May had planned to ask the bloc for an extension until June 30 in order for the necessary legislation to pass for Britain’s departure. “Theresa May is desperate once again to impose a binary choice between her deal and no deal despite Parliament clearly ruling out both of those options last week,” said Labour Party Brexit spokesperson Keri Starmer. Alison McGovern, another opposition Labour lawmaker, requested an emergency debate in Parliament on Brexit, seeking to challenge May’s reported pursuit of a short delay. McGovern’s office said the so-called SO24 emergency debate motion would be a very short statement on Brexit and would be aimed at securing a debate in Parliament. It is not clear if that would trigger a vote. It is up to Parliament’s speaker to decide whether to press ahead with the move, after which McGovern would make a three-minute speech on the case for such a debate and then parliament would have to agree that the debate should take place. Britain’s political chaos is exasperating EU leaders. Juncker said “in all probability” Britain won’t leave on March 29, but he underlined the EU’s insistence that it will not reopen the painstakingly negotiated withdrawal agreement that British lawmakers have snubbed. 'First partner': Will the gender-neutral title of California governor's wife catch on?